The Gibson sisters watched Thursday as four years of gun rights activism came to fruition with the stroke of Iowa Republican Gov. Terry Branstad's pen. 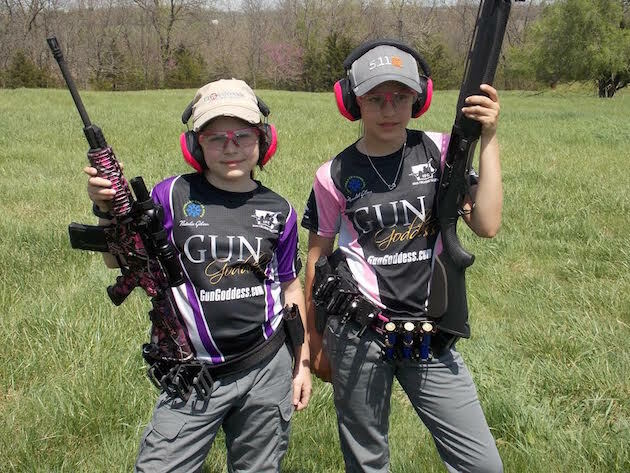 Meredith Gibson, 13, and Natalie Gibson, 11, had pushed for reform of the state's age restrictions on handling pistols. 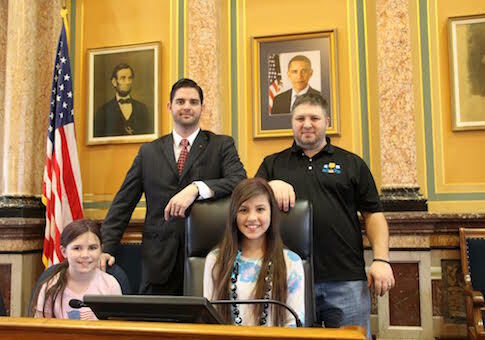 With Branstad's signing of House File 517, the omnibus bill that includes a number of pro-gun reforms, their quest to legalize youth pistol shooting succeeded. The bill repealed the state's restriction on children under 14 shooting handguns in any capacity, the most restrictive such law in the country. Under the new law, individuals under 21 years may handle and shoot pistols so long as they are under "direct supervision" by a parent or instructor over the age of 21. The sisters stood by Branstad's side as he signed HF 517 into law. They told the Washington Free Beacon they were excited to watch their work pay off in real time. "It was really exciting and kind of nerve-racking because there were a lot of cameras," Meredith said. "Knowing that all of our hard work has actually paid off is exciting and I'm happy that it's all done." Before HF 517 the girls, who often compete in shooting competitions, were allowed to shoot rifles and shotguns of all calibers in Iowa but had to go to other states to shoot handguns. After the signing ceremony ended, the girls were invited to go shooting with Bearing Arms' Jenn Jacques. They said they looked forward to finally shooting their pistols in their home state. "It's going to feel really good because normally I can only shoot my rifle at the range but now that I can finally shoot my pistol," Natalie said. "I'm excited!" "I'm excited to shoot my pistol," Meredith said. "It's one of my favorite guns." HF 517 makes major changes to a number of gun laws in Iowa. In addition to the change in age restrictions on handguns, the law adopts a "stand your ground" self-defense standard and adds privacy protections for people with gun carry permits. Gun rights groups celebrated the passage of the law. The Iowa Firearms Coalition, which worked closely with the Gibson sisters to lobby for the bill, said it was a landmark piece of legislation. "We just got a lot done," Kurt Liske, the group's vice president, told the Free Beacon. "It's awesome." The National Rifle Association, which also lobbied for HF 517, said the bill helped promote Iowans' right to self defense. "In state legislatures across America, lawmakers are expanding law-abiding citizens’ constitutional right to self-protection," Chris Cox, head of the NRA's legislative arm, said in a statement. "The NRA and our five million members thank the Iowa legislature and Governor Branstad for working to strengthen Iowans' Second Amendment rights so they have the freedom to protect themselves and their families." However, Liske argued Meredith and Natalie deserve the real credit for getting the age restriction removed. "They worked their butts off for this," he said. "They deserve a ton of credit for it." "I know, without a doubt, Meredith and Natalie both are going to grow up and do some amazing things."